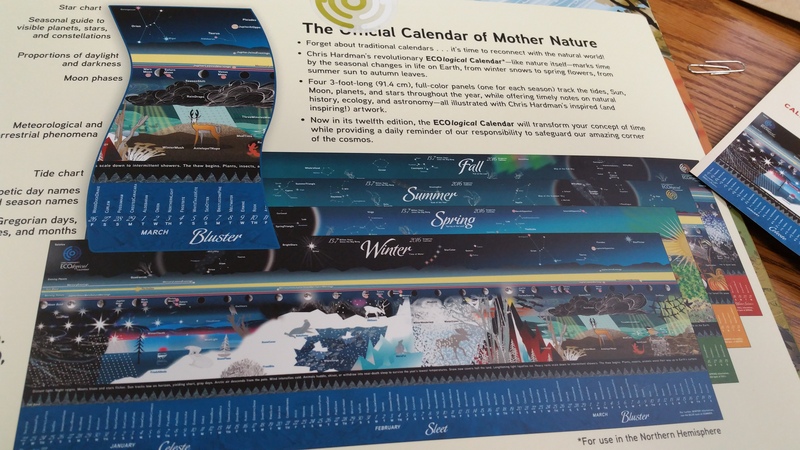 I first found the spiral bound EcoLogical Calendar in early 2013. I just found the four-panel fold out style for 2016 yesterday. This calendar is developed by Chris Hardman, and published by Pomegranate Communications, Inc. This calendar is based on the four seasons as recognized in the Northern Hemisphere. The 2016 year starts with the Winter Solstice, coming up on December 22, 2015. 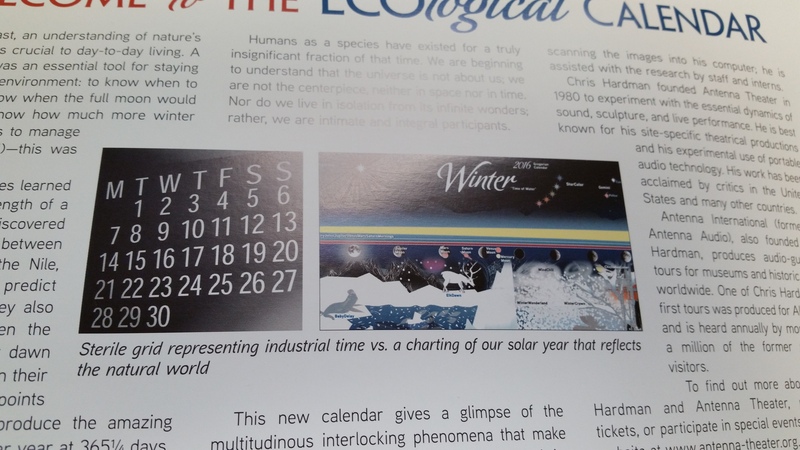 The calendar has four sheets printed front and back in beautiful full color. The art work is stunning. Each of the Seasons is divided into thirds and each third is given a name which conveys the gradual progression of that Season. The days run along in a number line and each day has its own name. The top section of each 36″ x 12″ sheet, has the “Sky Band,” which contains information on the stars, the “Sun Band,” which contains information on the strength and closeness of the Sun, and the Moon Band. I didn’t know there was a name for the study of the timing of natural events. 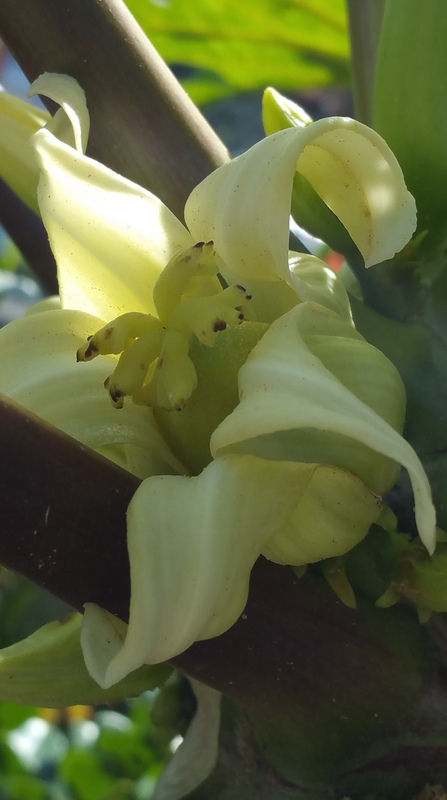 It is Phenology. I guess that makes me something of a phenologist.